The country has received the first batch of modernized battle machines. 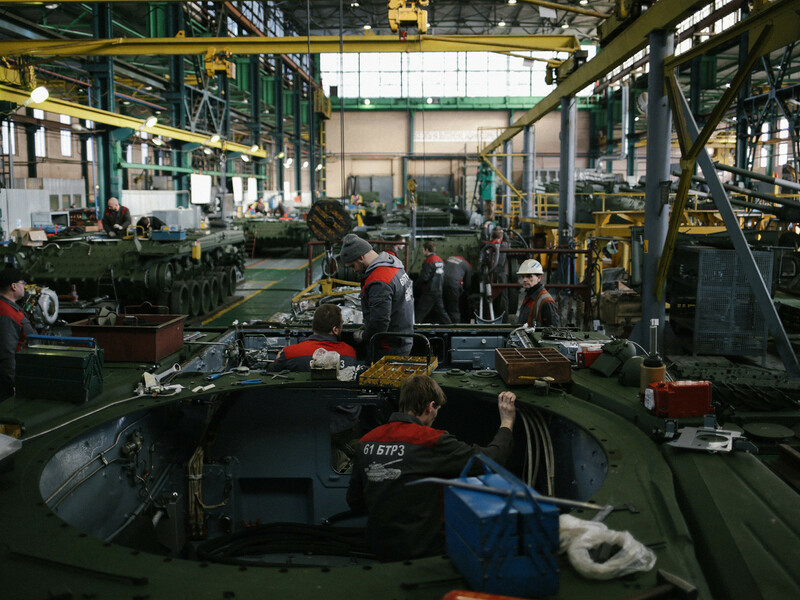 Here’s how they are put together at the plant before being sent to defend Russia’s northern borders. Thursday. It’s a snowy freezing morning in the village of Strelna, 30 km from St. Petersburg. 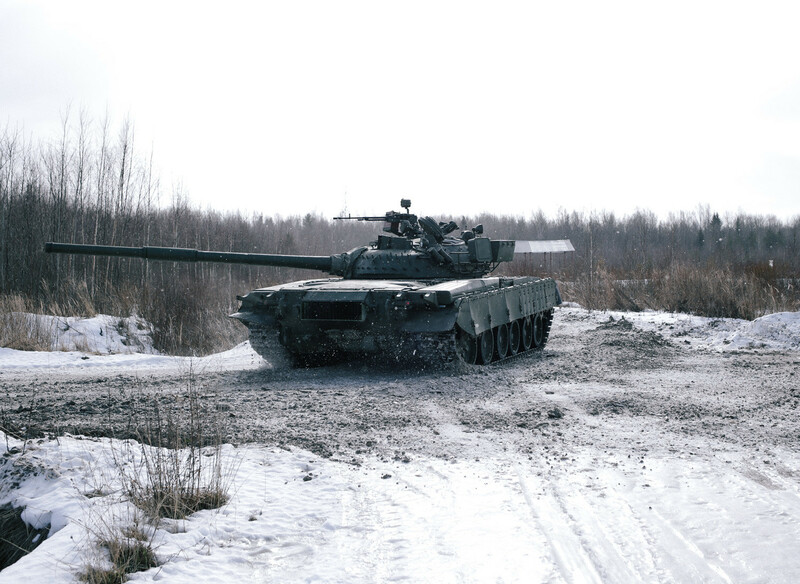 Hundreds of people are slowly shuffling from the train station and nearby houses to the 61st workshop of the armored tank repair factory, where they will assemble the new batch of T-80s. These battle machines will eventually be sent to the coldest regions of the country. 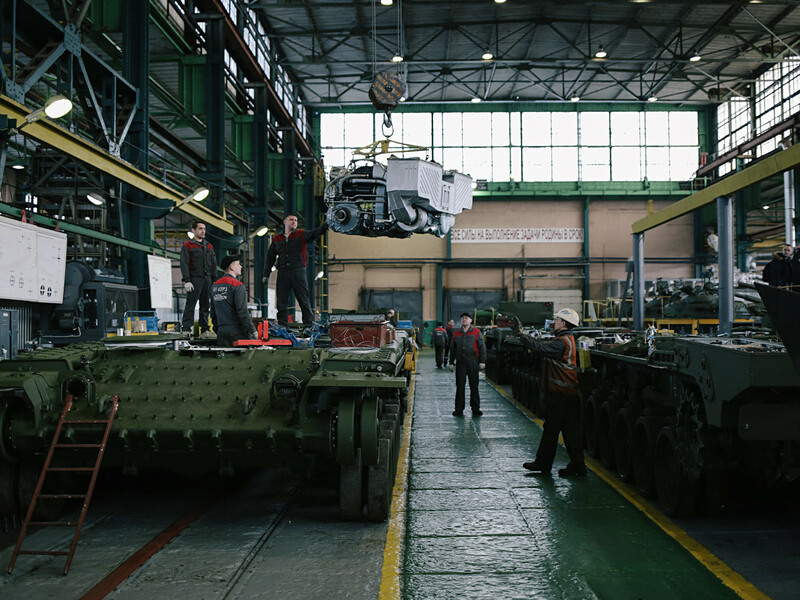 The workers’ day begins at 8 a.m. in the workshop containing seven-meter-high shelves stacked with spare parts for all tank models. 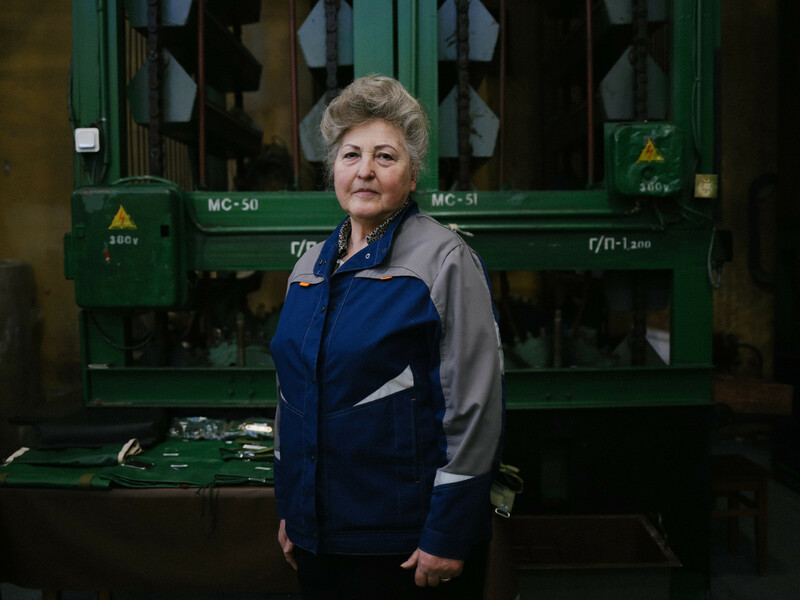 The only thing that you won’t find here are parts for the new-format Armata tanks - because they have never been repaired at the plant. Several groups comprising four to nine middle-aged men present the female manager with a list of all the necessary parts and then disperse among the shelves. 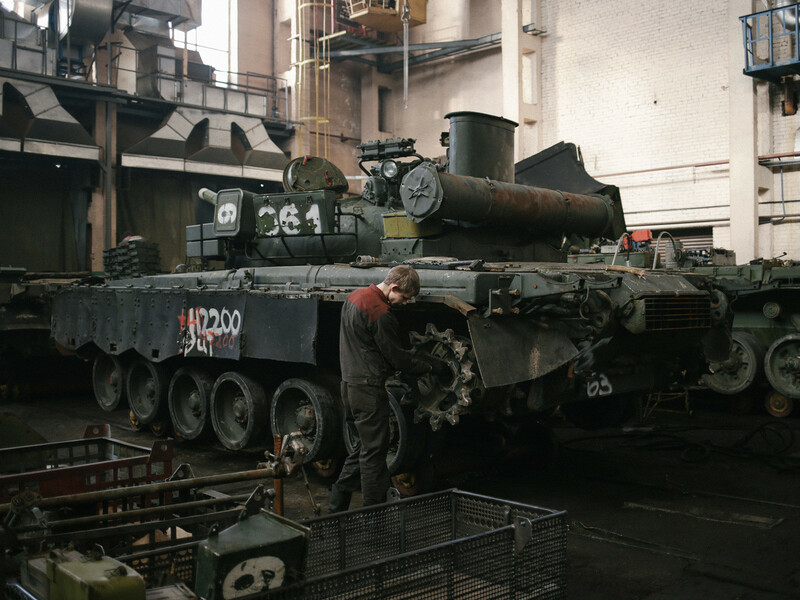 Afterwards, they place boxes on the carts and take them to the workshops where about 150 Soviet-produced tanks with reactive engines are lined up. 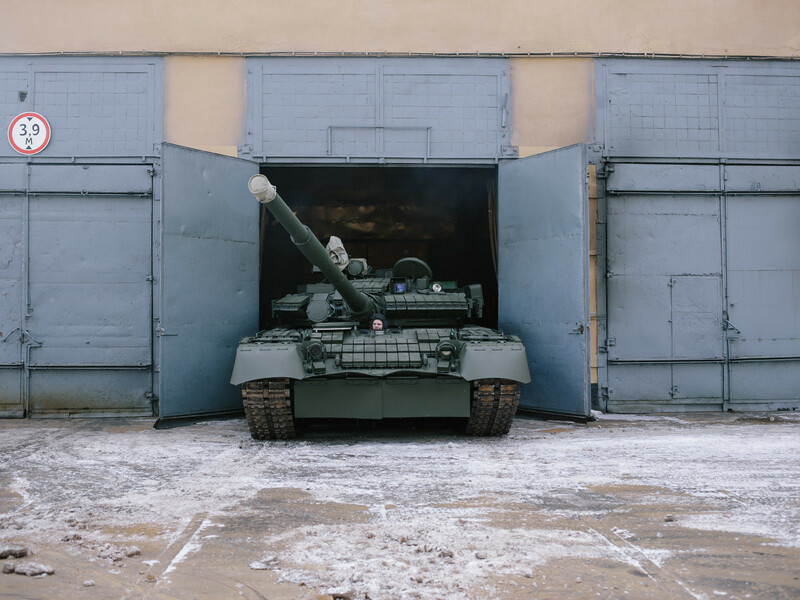 These T-80 tanks, a sort of Ferrari or Lamborghini in the armored technology world, will be upgraded. Only instead of the autobahn these caterpillar-tracked beasts will tear up firing ranges, dirt tracks, and battlefields. Soviet engineers created this 46-ton metallic monster in the 1970s. It can speed along rough terrain at 70 km/h. Only the new Armata can rival this. 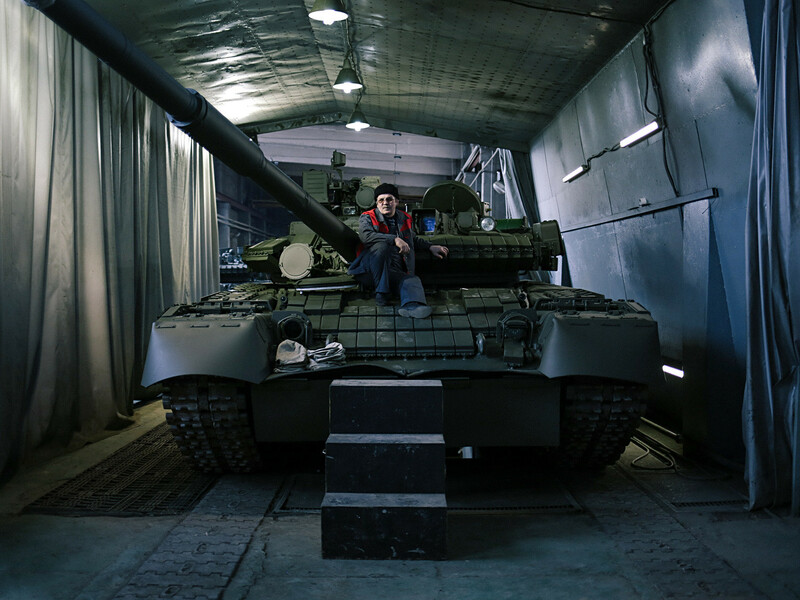 However, just like luxury cars, the cost of having a T-80 tank was incredibly high. 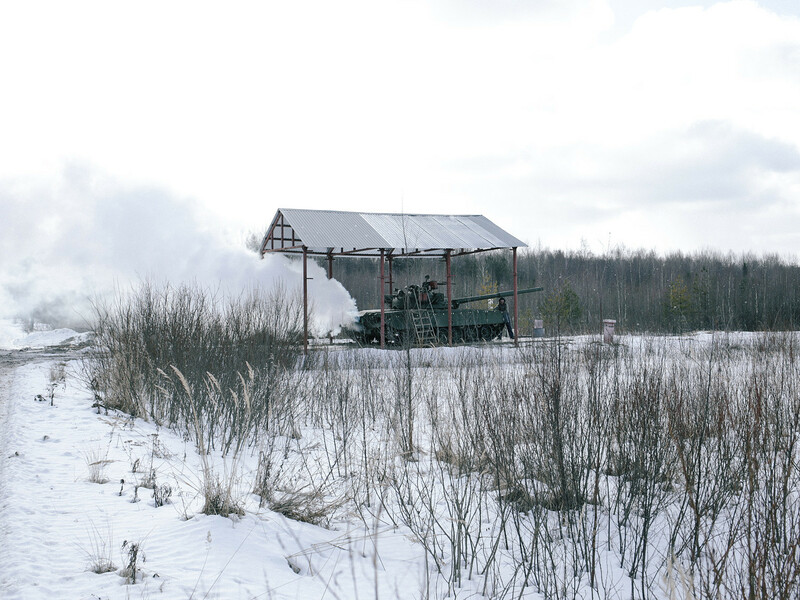 In the most impassable areas this machine burned one liter of fuel over a single kilometer. This is why several years ago weapons engineers at the Uralvagonzavod factory were told to solve this problem and modernize the tanks. As a result, each tank is now being disassembled bolt-by-bolt. Five men, a crane, and up to four days are needed to disassemble the 46-ton monsters. Afterwards, fitters, assemblers, “opticians,” and electricians begin their work. Part of the team is occupied with the modernization of the engine. 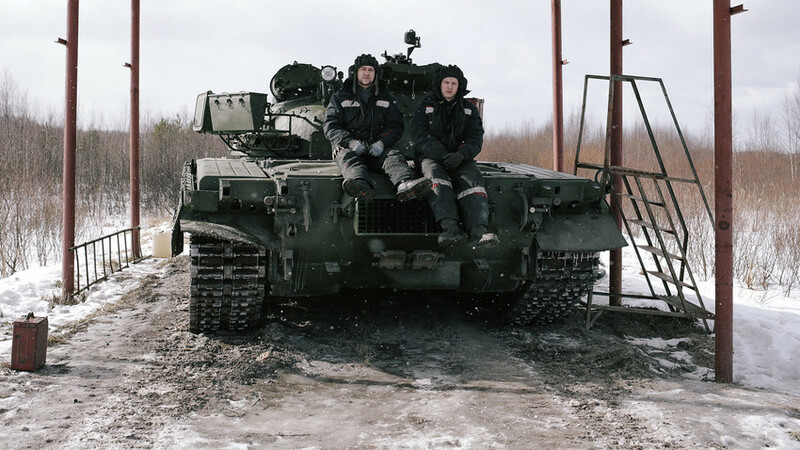 Unlike their diesel engine brothers, the T-80 tanks have turbine engines like airplane motors. The T-80 even sounds similar to an airliner taking off from the runway. 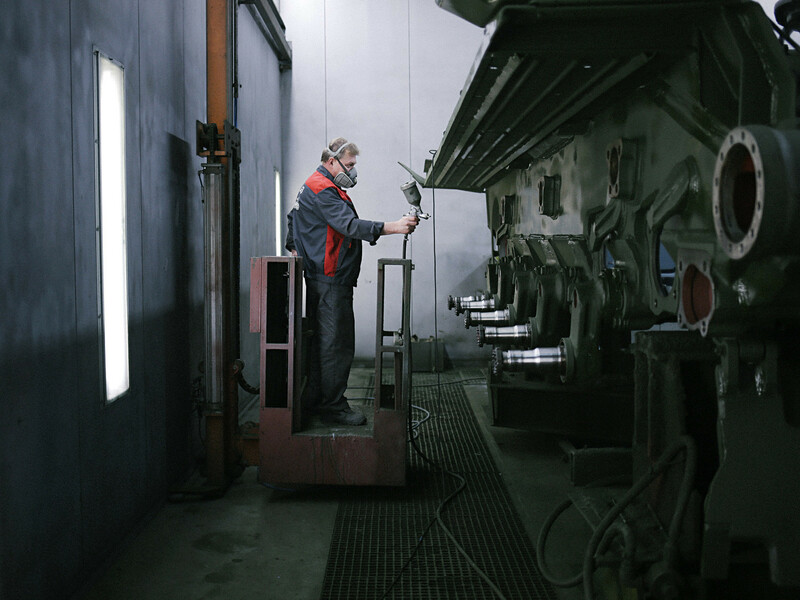 The full modernization cycle takes up to 60 days for each tank. 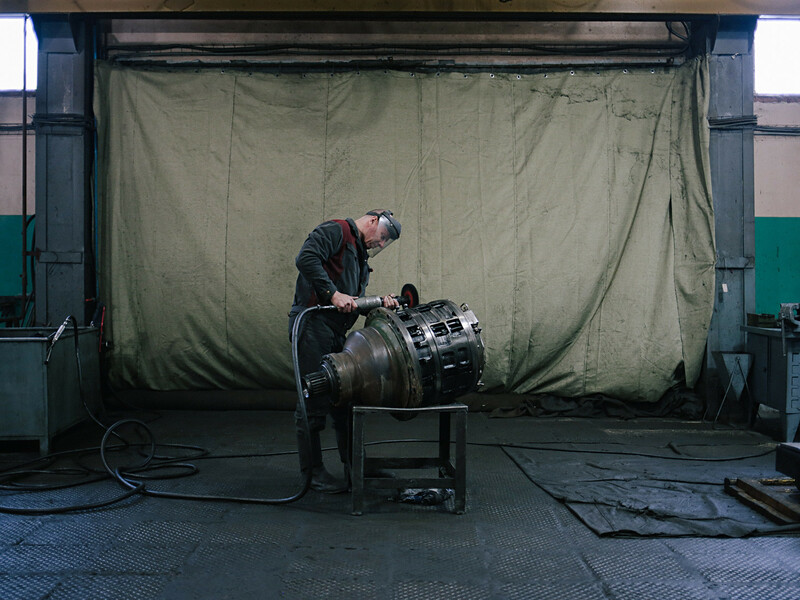 During this period the motor is examined, the worn out parts are replaced with new ones, and the engine is placed on a stand so the metal monster’s “heart” can be finely tuned. All of the T-80’s wires and electronics are disassembled and soldered all over again. 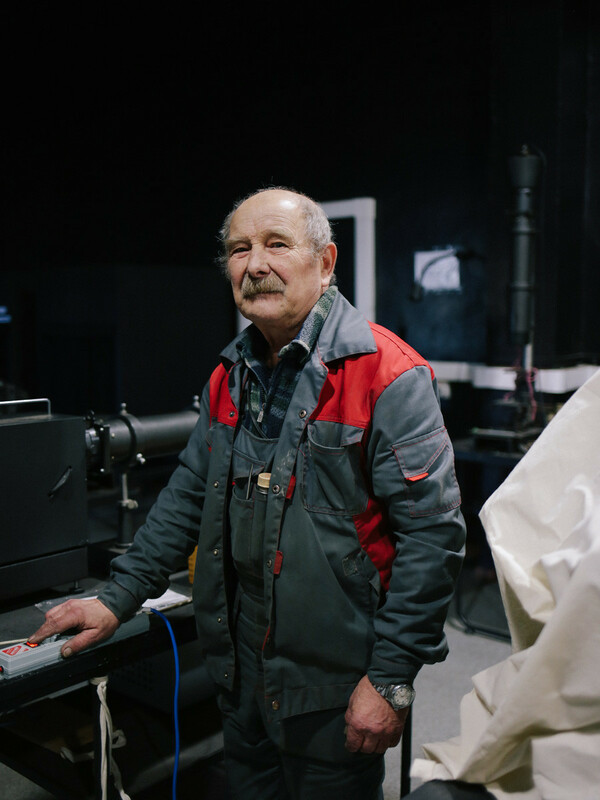 The machine’s electronic systems have been gathering dust in hangars for over 30 years since the collapse of the Soviet Union (it was too expensive for the new state to use such fast machines). Young men (there are no ladies in this section) go through kilometers of wires, some of which are re-soldered; in other places the wires are “knitted” anew. 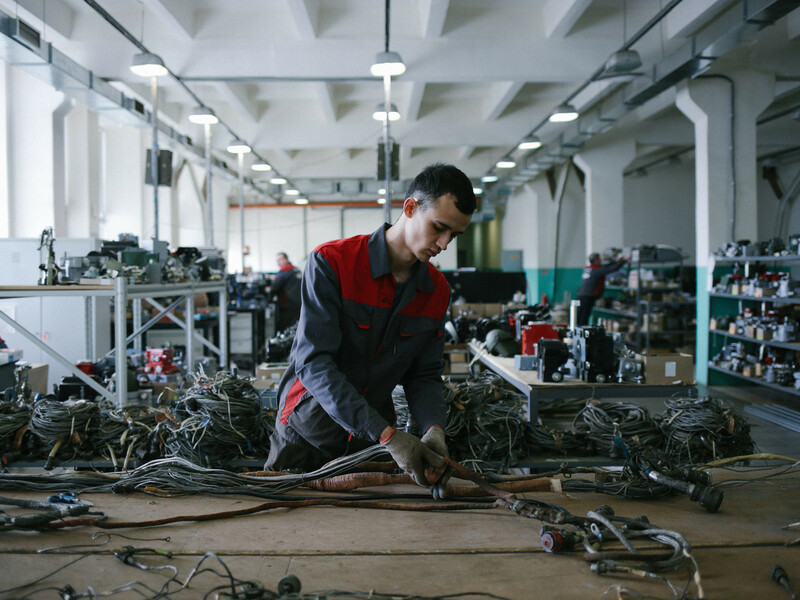 The ready batches of newly-made electronics are placed in carts and lowered down to the workshop where they are installed in the tanks. Next to the people working on the wires is an older stocky man who is laboring with magnifying glasses. He’s responsible for night-vision devices, as well as laser and optical sights. 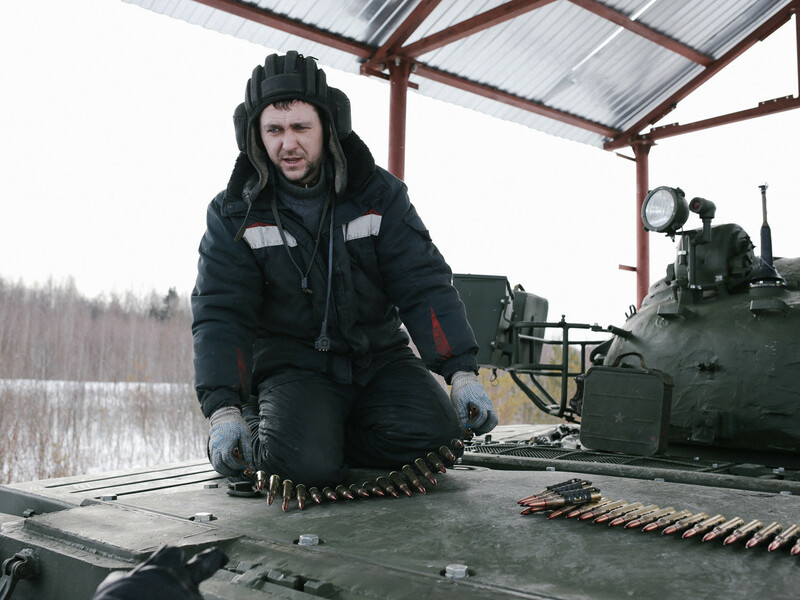 Also, mechanics and fitters have to examine all the T-80’s firing systems. 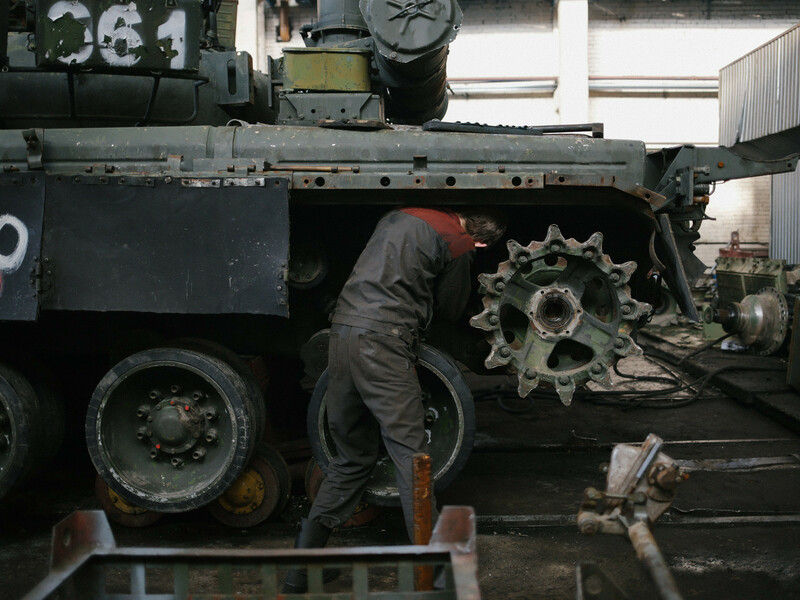 Each 125mm gun is removed from the tanks’ towers - blank rounds are then fired from each in the middle of the workshop to check the mechanism. The rumble is so loud that the windows vibrate and the walls shake. 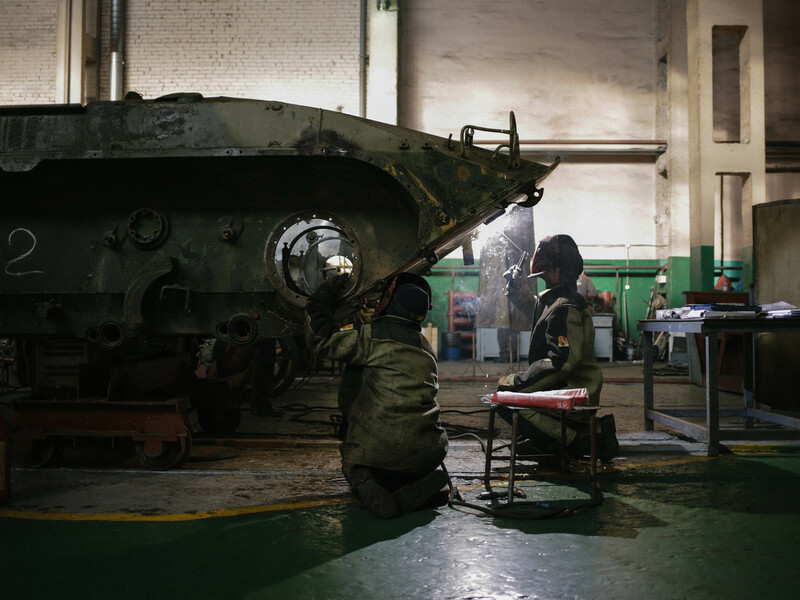 When all the details are replaced, the systems cooled, the electronics installed, the engine perfected, and the necessary nuances fixed, a nine-man team begins assembling the tank. The finished model is then sent to the firing range where before being delivered to the army they must cover about 100 km and “hop” over felled trees, ditches, and trenches. 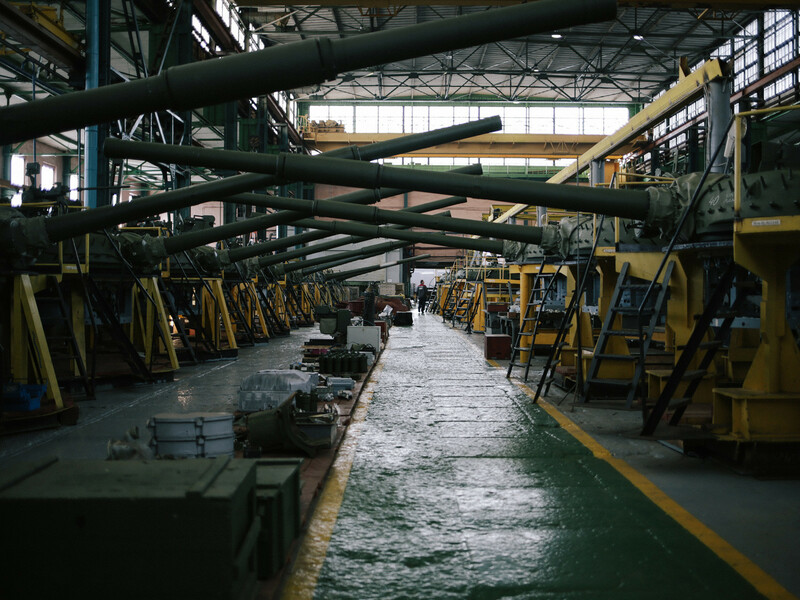 After all the tests at the plant and the firing range, the rejuvenated T-80 machines come together under one roof. There they await the arrival of military men who conduct their own tests, after which they will be sent to military units guarding Russia’s borders in the Far North.